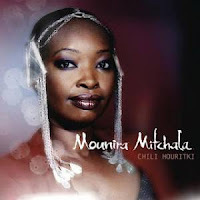 Lots of new sounds on this month's chart -- from Chadian singer Mounira Mitchala at #1 to Ethiopia's Krar Collective at #10. Between those two are Afrobeat from the Netherlands, women's vocal harmonies from the Czech Republic, some classic NYC salsa, and Polish folk-tronica, among other things. Click on the links for more album info. Happy exploring! The SoundRoots / Spin the Globe monthly Top 10 is a somewhat subjective ranking of recent “world music” (sometimes including Latin, Native American, & reggae) album releases, based on on-air spins, listener response, and our own eclectic tastes. To submit your album for airplay and charting consideration, see contact page.